The all-new Monster Mansion at Six Flags Over Georgia is set to open in May with a whole new storyline, new characters and interactive elements. 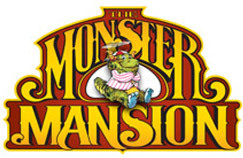 Formerly Monster Plantation, this iconic ride will have its own merchandise store where guests may purchase Monster Plantation and Monster Mansion items as well as take a trip through the ride’s new mini-museum. Six Flags Over Georgia is the Southeast’s largest regional theme park and offers 10 thrilling roller coasters, two children’s themed areas and meet and greets with Six Flags’ world famous cast of characters including Mr. Six — the ageless, dancing mascot. For more information about Six Flags Over Georgia tickets, shows, rides, attractions and events, visiting www.sixflags.com/overgeorgia.